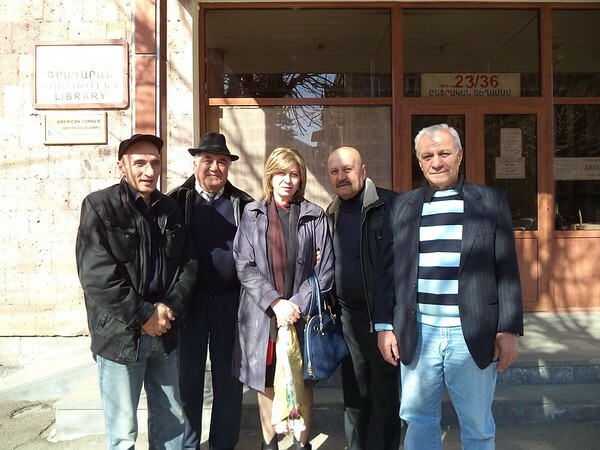 The elderly residents of the Vanadzor Old Age Home (VOAH) are quite the literary connoisseurs. Recently a group of our grandparents with great anticipation hurried over to the Lori Regional Library to participate in the event “Extracts from Charents’s Biography” dedicated to the 120th anniversary of the great Armenian writer. With mischievous satisfaction, the elders accompanied children to recite Charents’s poems, helping to put a special emphasis on the feelings the author may have experienced while creating the works. The event opened with a talk about the author’s life and career by Doctor of Philology Gayane Malumyan. It also included presentations by the Lori Regional Library group members and high school students.